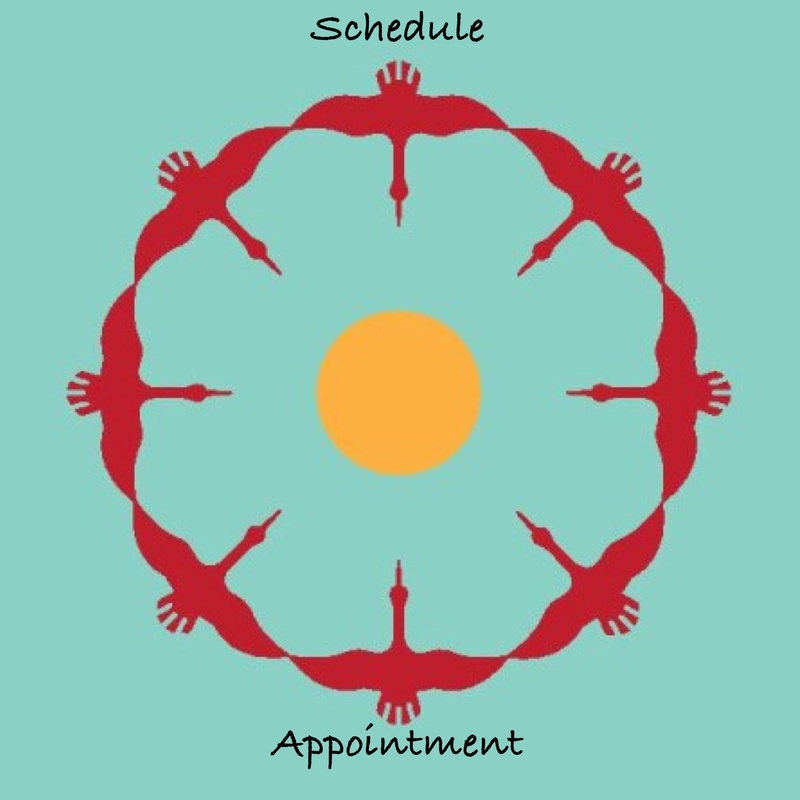 Once you click the button you will be transported to a much larger version of the following page where you can schedule your appointment. Pick if you are an existing or new patient by selecting the option from the drop menu. Choose a service from the drop menu. Currently the only service available from this menu is acupuncture, so select acupuncture. Fill in the “Reason for visit” field and your contact information. Once all information is filled in, then you will see a calendar appear with the available times for that week. You can select future availability by clicking on the “Next week” button. In the example below: 9:30am and 11:00am were available on Tuesday, May 9th. Click on the time you would like and then scroll to the bottom of the page and click on the “Book appointment” button (not seen in this image). Congratulations! You have successfully booked an appointment! You can manage that future appointment through the email that is generated and sent to you once you’ve booked. In that email you can reschedule, update your paperwork (if you have not filled out the new forms) or if you have any changes in medical information that you’d like us to know about. ≈ Comments Off on Fundraiser, a huge success! Thank you to everyone who came out and who contributed to the Susie King Taylor Community School acupuncture fundraiser today! The fundraiser generated $521 for the school! $500 was the needed amount to complete the funds for 501-c-3 status for the school. We sincerely appreciate everyone who helped with this effort. It was community acupuncture and community collaboration in the truest sense! Eight Cranes Acupuncture is excited to announce that we will be hosting a fundraiser for the Susie King Taylor Community School on Saturday, April 2nd from 9:00am – 1:00pm! (please see the attached flyer: Eight Cranes Acupuncture Community Fundraiser for the Susie King Taylor Community School) This is a GREAT opportunity to receive the benefits of a community acupuncture session** while helping to cover filing fees for an exciting new, public K-12 charter school that is forming in the Savannah area! 100% of the proceeds will go to the school, so please bring cash or checks payable to: Susie King Taylor CHARTER School. Credit and debit card services will NOT be available that day. The suggested donation for your community acupuncture session is between $20-$40, but of course feel free to contribute more if you feel inclined to do so. Please note: In order to keep the day flowing well for everyone concerned, we are asking for RSVPs! Please call the office: (912) 349-2101 and specify your preferred treatment time. We will call you back to confirm availability. The Mission Statement of the Susie King Taylor Community School: We see to cultivate a vibrant, academically challenging learning community that celebrates each individual’s gifts and instills in students a sense of stewardship as members of the Savannah community and as citizens of the world. Through experiential learning that emphasizes both quiet reflection and group collaboration, we empower students to critically examine the world and to activate their capacity for creating lasting positive change. ** How is community acupuncture different than a regular acupuncture session? Community acupuncture is carried out in a group setting where multiple people are receiving treatments in the same room either in chairs, recliners, or on tables if available. Treatment time is shorter, between 15-30 minutes. ≈ Comments Off on New Office Hours ! Please make a note that Eight Cranes Acupuncture will now be CLOSED on MONDAYS rather than Wednesdays starting mid-September. In addition, we have decided to take our own advice in regards to self-care and actually take a REAL lunch break (as in, we leave the office and really take a break!) This means that we will not take any appointments between 12:15 pm and 2:15 pm. But don’t worry we still have enough time for everyone as we will now be accepting appointments at 5:00 pm. We look forward to continuing to serve our amazing community in Savannah and the surrounding areas. 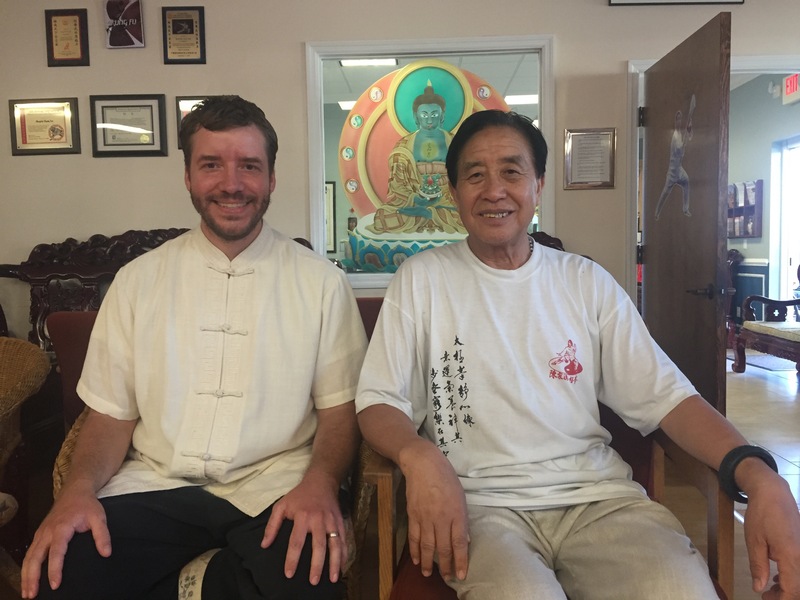 This weekend Ben will be attending a Qi Gong and Silk Reeling seminar with Grandmaster Zhu Tiancai in Jacksonville, Florida. The event is being hosted by Kam Lee Taiji Kung Fu Academy. Grandmaster Zhu Tiancai is the 19th generation disciple of Chen Family Taijiquan in China and he is considered one of the “Four Golden Arhats” of Chenjiaguo Taijiquan. The other Grandmasters are Chen Xiaowang, Chen Zhenglei and Wang Xian. Ben is excited about this rare opportunity to learn from such an experienced master. 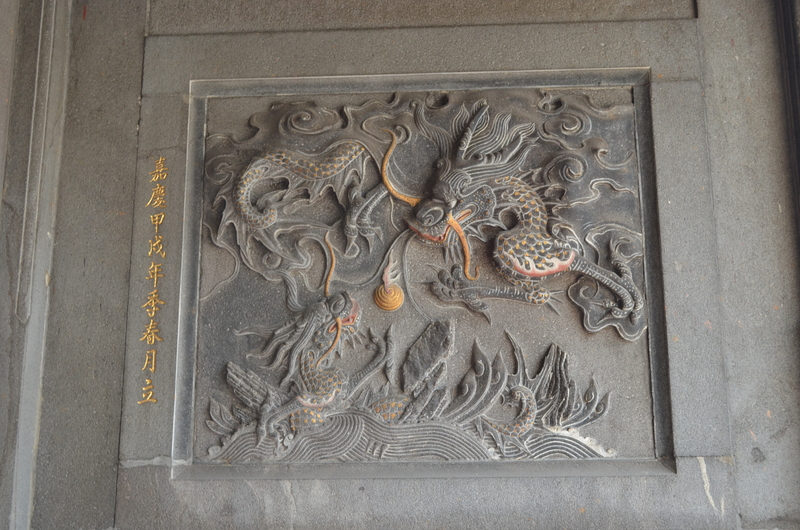 Qi Gong and Silk Reeling help create a solid foundation for Taiji and Qi cultivation. Modern Research Validates Ancient Chinese Theory: Bitter Taste Literally Affects the Heart! Since the time of the ancient text, Su Wen (206 BCE–220 CE), and quite possibly longer, Chinese Medical theory has held the belief that substances with Bitter flavors influence the Heart. The tongue’s connection to the Heart was first mentioned in Chapter 5 of the Su Wen, which states that the “Heart governs the tongue” 心主舌 Xīn Zhǔ Shé. In Chapter 23 of the Su Wen it is stated that, “Bitter (flavor) enters the Heart” 苦入心 Kǔ Rù Xīn. Interestingly enough, modern researchers in Queensland Australia demonstrated that the heart has Bitter taste receptors verifying this ancient theory. Furthermore, they have also demonstrated that Bitter drains fire by showing that the bitter taste slows down the contractile strength of the Heart. This is particularly interesting since Chinese Medicine often uses Bitter medicinals like Huang Lian, Ku Shen, or Da Huang, which are all said to enter the Heart and drain Fire. It’s exciting to see modern research verifying what Chinese Medicine has been saying for thousands of years! Perhaps more research should be done on the other four flavors mentioned in Chapter 23 of the Su Wen, which states: “Sour enters the Liver 酸入肝 Suān Rù Gān “, “Acridity/Pungency enters the Lungs 辛入肺 Xīn Rù Fèi” , “Salty enters the Kidneys 咸入肾 Xián Rù Shèn” … and Sweet enters the Spleen 甘入脾Gān Rù Pí”. 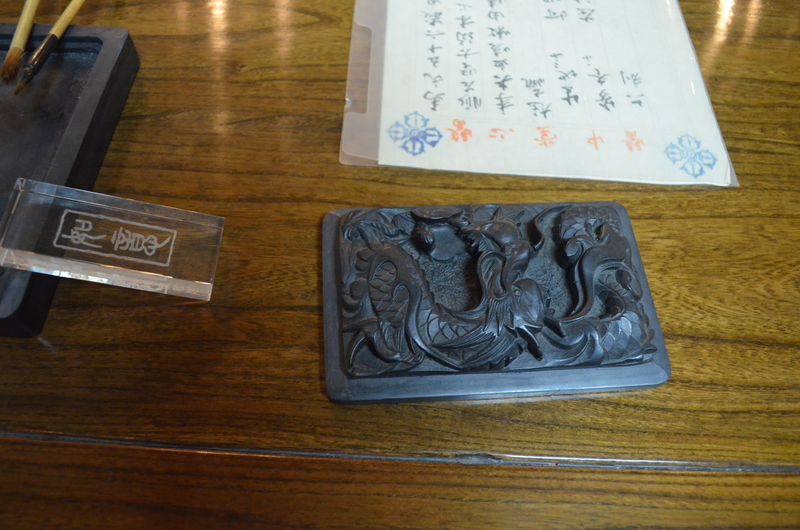 Eight Cranes Acupuncture will be closed the week of the fourth and reopen on July 7th. If you are in need of an acupuncture treatment while the clinic is closed go check out the good people at Lowcountry Natural Health. Have a great fourth of July! ≈ Comments Off on Ganesha’s Place Summer Specials! The good folks at Ganesha’s Place have some great summer specials. This is a wonderful way to gain more body awareness, relaxation and flexibility.